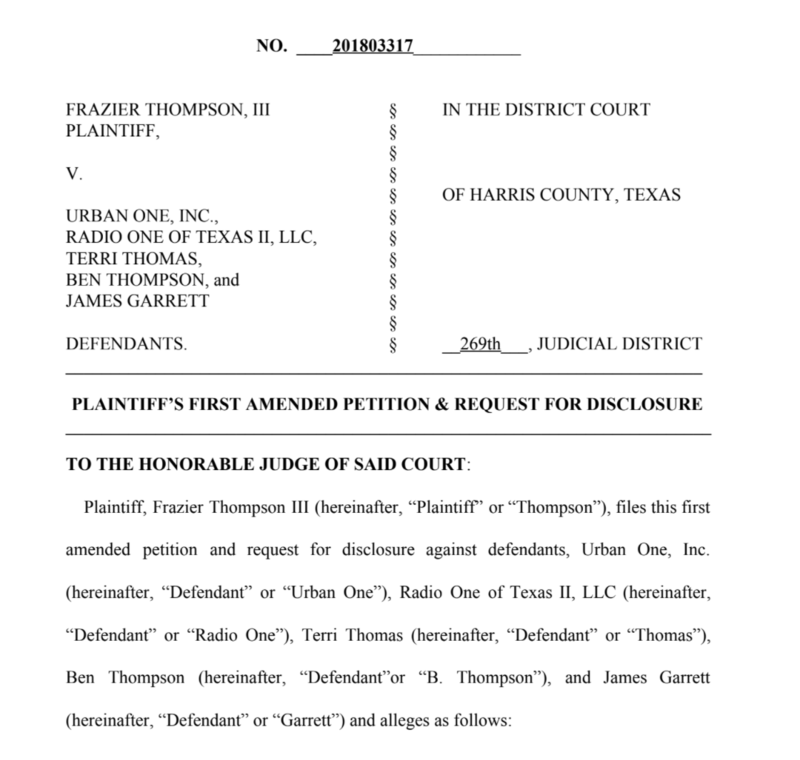 Rapper and Philanthropist files lawsuit in Texas courts January 17, 2018 against Radio One Corporation, and Houston 97.9 The Box Radio Station Program Manager Terri Thomas. On Wednesday, January 17, 2018, in the 269th District Court, a lawsuit was filed against Urban One, Inc., Radio One of Texas II, LLC and Terri Thomas, complaint number 201803317. Terri is the current Program Director/Operations Manager for Houston’s Urban Hip-Hop and R&B Station 97.9 The Box. 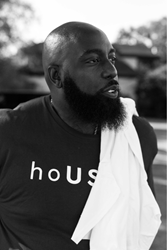 The complaints alleged are as follows: gross negligence, defamation, and tortious interference with prospective relations by an on-going ban against Trae Tha Truth from all things Urban One/Radio One. Urban One is the most massive radio broadcast outlet in the world. According to court documents, during the fall of 2009, an altercation took place during Trae Day. A then RadioOne on-air radio personality as stated in court documents allegedly accused Trae of causing the incident. Court documents allege she continued slander of him and his brand. For ten years Trae Tha Truth has had his day in Houston, formally known as, “Trae Day.” Thousands of people pour over the lawn of Houston’s Discovery Green to witness their favorite celebrities, receive financial assistance, immunizations, school supplies, and many other varieties of entertainment. No stranger to helping his community in times of disaster, in 2008 when Hurricane Ike devastated the Gulf Coast, Trae was present providing aid and assistance to the citizens of Houston. In 2018 (during Hurricane Harvey), above knee-high water rescuing those in need in boats and monster trucks. Most recently he was given an award by Ford Motor Co for his heroic efforts before and after Hurricane Harvey. Trae has since started the “Relief Gang” an organization that focuses on the rehabilitation, and immediate assistance of areas and residents affected by natural disasters. Trae has been seen on national media outlets like CNN and GMA and recognized for his continued efforts for his community and others around the nation.